Mack-Cali Realty Corp. has backed out of the deal to build an apartment building on the parking lot at 709 Chestnut St. Here's a sign that Philadelphia's apartment-building buzz may be quieting: A major out-of-town developer has bailed on a big Center City project, citing ballooning construction costs and tapering rent growth. Mack-Cali Realty Corp. said in its most recent earnings call that it had backed out of a deal to build a 300-unit apartment tower at 709 Chestnut St. with local developer Parkway Corp. The Jersey City, N.J.-based company is withdrawing from a Center City residential-development boom that's been gaining steam since the end of the last recession, with rising rents encouraging record investment in new projects. Many indications point to more good times to come, too, such as National Real Estate Development's recent move to add a second tower of housing to its East Market project, not far from the Chestnut Street site. But some think Mack-Cali's decision could be a preview of things to come, as the market slows to absorb the flood of new apartments and allow labor demand to cool. "You've seen at least one project that's put the brakes on development, and that could lead to others doing the same," said William Rich, a director at the Washington-based real estate tracker Delta Associates. "This could be the leading edge." 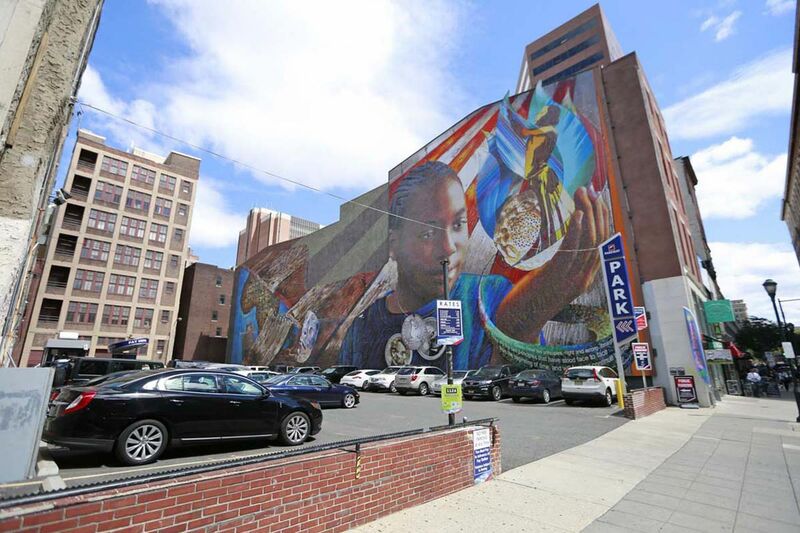 Philadelphia is not alone among cities with resurgent downtowns that are now facing the threat of oversupply, said Hans Nordby, a managing director at real estate research firm CoStar Group. Dense urban enclaves such as downtown Los Angeles and the central parts of Houston and Nashville are seeing their markets cool, he said. As a result, asking-rent increases nationwide are forecast to decline through at least 2020, according to CoStar. "Your urban, fashionable, everybody-wants-to-live-there neighborhood was so good for so long . . . that now it's become a little overheated," Nordby said. "In many cases, developers have gotten religion and they're starting to shut down supply." Mack-Cali announced its plan to work on the 709 Chestnut project in March 2015, calling the tower "a cornerstone of the burgeoning Market Street East neighborhood." During the Aug. 3 earnings call, however, the head of the real estate trust's Roseland Residential unit said it had paid $800,000 to back out of the development deal with Parkway Corp., which owns the project site. Philadelphia "had a great move in rents, but we didn't think that was going to continue and costs were going up," Marshall B. Tycher, chairman of Roseland Residential, said during the call. The skittishness follows years of apparently broad confidence in the market here. Spending on residential construction starts in Philadelphia hit $808.4 million last year in current dollar terms, its second-highest showing after 2014's record $1.13 billion, according to Dodge Data & Analytics of Bedford, Mass., which tracks the industry. Encouraging this investment has been years of solid rent growth, as tenants vied for what had been a dearth of newly built, well-appointed units, said Delta Associates' Rich. But as new projects are completed, they're beginning to affect rents. The average rent increase citywide for a Class A high-rise apartment was 1.4 percent during the year ended June 30, compared with 3.1 percent during the year-ago period and 3.7 percent the year before that, Rich said. Rent growth should flatten further as more units come to market over the next two years, he said. "We're starting to see the effect of the increase of supply," he noted. Costs to build, meanwhile, are rising because the intensive citywide construction - which includes office towers and other nonresidential projects - also is driving up demand for labor. Skilled tradespeople have been in short supply since the last decade's housing downturn prompted many workers to leave the field, said economist Bernard Markstein, of Markstein Advisors. New bricklayers, carpenters, and others aren't being trained fast enough to replace those who were lost, allowing workers with those skills to charge more, Markstein said. The increase can be even more pronounced in cities like Philadelphia, where organized labor dominates work sites and more easily replaced unskilled workers' salaries are elevated by union pay scales, he said. "Very often, with organized labor, you can have higher skill levels," Markstein said. "But they also can have work rules that add to the cost." Average hourly wages for construction and extraction occupations, a group covering everything from sheet-metal workers to carpenters' helpers, increased about 11 percent, to $27.94, in 2015 from 2010's level in the Bureau of Labor Statistics' Philadelphia Metropolitan Division, which also includes Delaware County. Nationally, those wages rose 8.5 percent, to $22.88. So far, the only overt impact of the rising costs and ebbing rent growth appears to have been at 709 Chestnut. Real estate investment services firm JLL said in an Aug. 9 report that residential construction starts of more than 2,000 units a year - a pace seen since 2014 - are expected to continue through next year. Still, the authors said, "a 2018 slowdown appears more realistic." "Anybody starting something from scratch in Philadelphia is going to have a hard time making their numbers," said Christophe Terlizzi, regional head of KeyBank's commercial real estate practice. "Companies like Mack-Cali and others are starting to say, 'Gee, maybe we need to wait for the market to catch up.' "
But Parkway Corp. president Robert Zuritsky said he remains bullish, with office projects such as the Comcast Innovation & Technology Center expected to draw to Center City more workers, who will need places to live. "We have a lot of confidence" in the 709 Chestnut site, he said. "We hope to develop an exciting project there."